The land now occupied by the cemetery was part of a parcel owned by James Fowler back in 1835 when the first known burial was made there. This parcel was later sold to Eliphalet Parish on September 10, 1839 (Volume R, page 150). The Spitzers first settled in Lafayette Township in 1836 when Nicholas Spitzer purchased 112 acres there. The land on which the cemetery sits was not part of this original purchase. In fact, the Spitzer cemetery wouldn’t be owned by the Spitzer family until August 23, 1857 when Nicholas’ son, Aaron B. Spitzer, purchased 50 acres in the northwest part of Tract 2, Lot 6 (Volume 4, page 204). By this time the first members of the Spitzer family had already been laid to rest here; with two of Nicholas’ children, Matthew and Sarah, passing in 1853. The land would pass to another of his sons on January 18, 1862 when Garrett Spitzer purchased the 50 acre parcel (Volume 15, page 88). In 1904 the heirs of Garrett Spitzer sold the property at which point we see the cemetery exempted from the sale (Volume 72, page 310). There is no deed found showing the cemetery being transferred to anyone although Lafayette Township eventually took over upkeep. 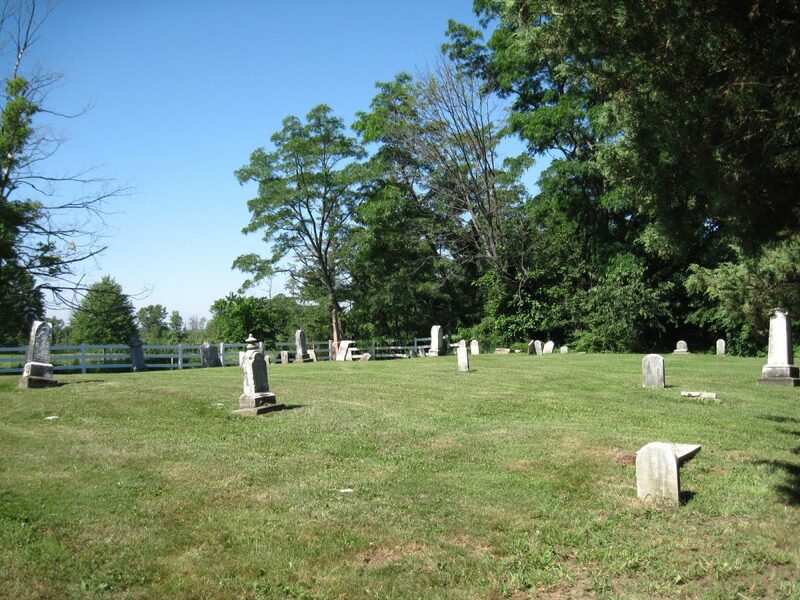 Being that it was a public cemetery, ownership of the cemetery was legally assumed by the township in the year 2000 in accordance with Section 517.10 of the Ohio Revised Code. It is now surrounded on three sides by the Medina Country Club and golf course. No original records exist for Spitzer cemetery. The only burial information has been compiled from the remaining headstones and a few obituaries and death records. The WPA did its survey of the cemetery but the map shows only `blocks’ of individual gravesites and gives no indication of burial lots. We do know, however, that they existed based on a couple of remaining lot markers in the cemetery and a mention made during the creation of the cemetery association. Lot markers identify three corners of the Albro lot (Lot 38). A measurement of this lot shows it to be 16 ½ feet by 7 feet. Each lot probably contains five gravesites. The cemetery appears to have been laid out in ten rows of six lots each. Using this as a guide, a plot map of the cemetery was recreated and a number assigned to each lot. Known burials were then plotted based on their positions. A row of bushes runs the length of the cemetery on the north side and there is a fifteen foot wide drive entrance. A row of large stones reinforces the edge of the cemetery where it slopes to the road. 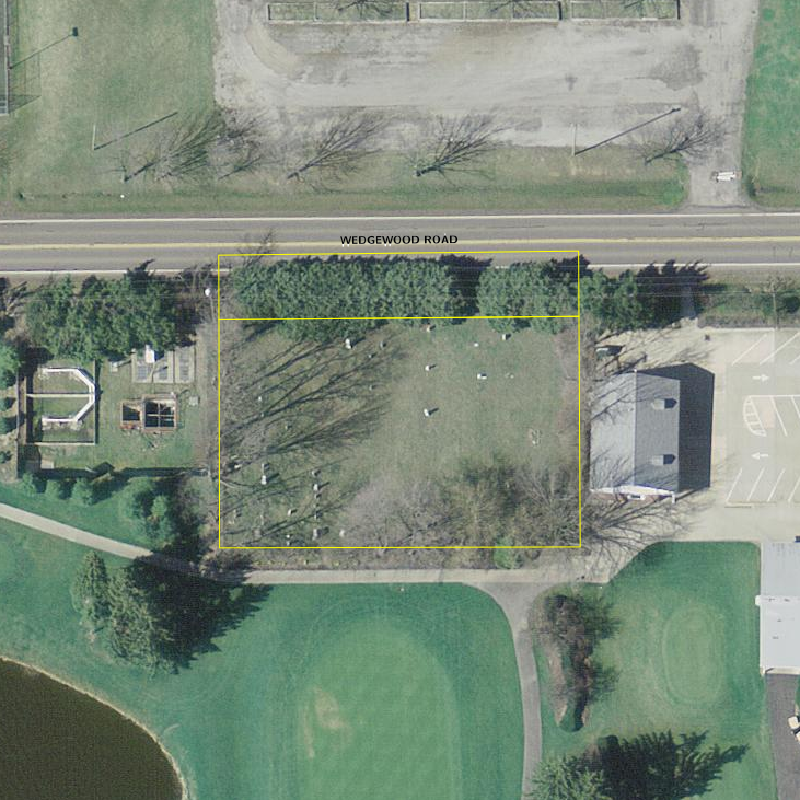 While none of the property transfers tell us anything about the cemetery’s dimensions, we know from current maps that the parcel measures 165 feet (north side), 134.76 feet (east side), 165 feet (south side), and 132.25 feet (west side). These dimensions are for the entire parcel which also includes the area out to the center of the road. In 1847 some citizens of Lafayette Township elected to form the Chippeway Cemetery Association. The only mention of this association is found in records of the State General Assembly for early 1848. A transcript of the referencing section can be found here. From the names of some of the original members we can conclude that this association was responsible for what we now know as the Spitzer cemetery. Prior to the forming of this cemetery association there are only three known burials: Lydia R. Leffingwell (July 10, 1835); Sophie S. Chapman (January 19, 1836) and Azariah A. Foster (March 5, 1847). Burials were steady after 1850 with the cemetery’s peak usage being in the 1860’s. A major decline in burials occurred after the 1870’s with only occasional interments being made from then on.